I've checked off Zeit, Phaedra, and Rubycon so far and have two more this round. The first of these is the group's second album which already had a big personnel change moving out two other legends, Klaus Schulze and Conrad Schnitzler and bringing in long-term mainstay Chris Franke with Steve Schroyder. 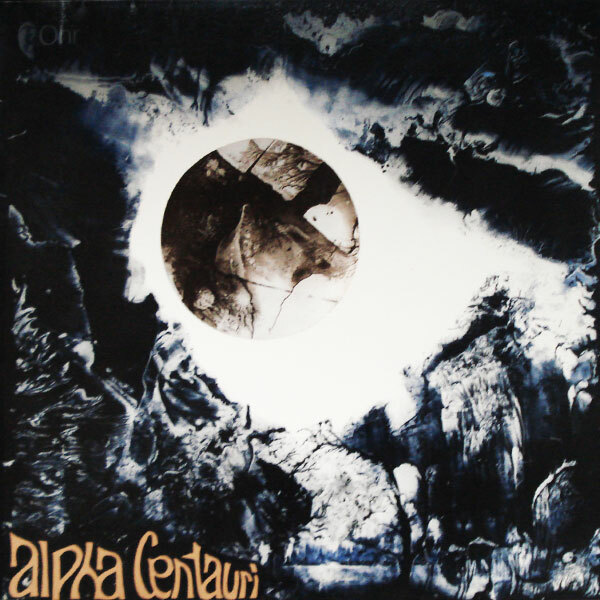 If their debut was identifiably post-Hendrix, Alpha Centauri was the group's new sound, not quite electronic music yet, but definitely predicting it, almost as if the group used a mix of effected electric instruments with early synthesizer effects. The short opening piece with its jagged guitar outbursts and heavily reverbed organ end up giving way to longer space-concept pieces with all sorts of effects, sounding like satellites floating by, the echo of vacuum, strange radiowave static over cavernous organ-effected atmospheres. In the days of modern synthesizers these kinds of things are easily produced but to create such a work out of things like coffee machines in the early 70s seems akin to the creativity of the BBC Radiophonic Workshop of the time.